We are Lubemobile, the fleet of mobile mechanics providing high quality vehicle services all over Australia and available wherever your vehicle needs us. For cars located in Annerley, you can have a fully equipped mobile mechanic at your preferred time for a full service, including parts replacement. We fully service your local area including Woolloongabba, Chapel Hill and Cannon Hill. Lubemobile’s fleet of mechanics have serviced over 2,139 vehicles in your area throughout the past 3 months and the most common type of vehicle service in your area is Log book servicing. As completely mobile vehicle specialists, our fleet will arrive fully stocked to tackle any kind of service that your car requires including centre bearing replacement , on-site tyre replacement from our fleet of specialist tyre services, and resetting warning lights. Nate was so helpful and so quick. Loved his work keen to work with him again. 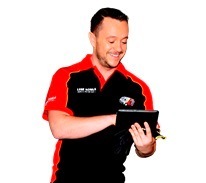 Keep your service history up to date on your Jeep or Peugeot with the 38 Lube Mobile mobile mechanics in Brisbane Metro who arrive on time and with what they need to complete high quality repairs and service work on your vehicle. With over 49 positive reviews already, it’s small wonder Lubemobile have maintained a reputation for excellence by providing industry leading service. Get rid of the hassle of dropping your car off at a workshop and enjoy the flexibility of having your vehicle looked after where you need it to be. Book your on site service today and become another happy customer who have already experienced great services. The key to a great mobile mechanic service is not only industry leading service work but also convenience. We take the fuss and hassle out of getting your car repaired or trying to keep up with its regular service history by providing vehicle owners the flexibility of choosing the time and place of their vehicle work. 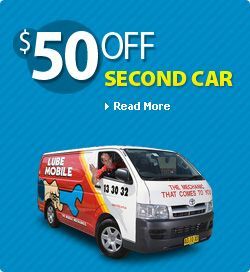 Around your local region Lubemobile mechanics have typically attended to Toyota, Holden and Ford. Prepared and experienced to take on all vehicle types, recent services around you have been typically Daewoo, Chrysler and Mazda. Parts needed are always of the highest quality and are sourced fast for efficient repairs carried out on time. Mechanics have access to parts and spares like flange gasket, slave cylinder and lifters on site.